Shiro Majo Gakuen ("White Witch Academy") is a secret garden that accepts girls who have been emotionally injured. Moga becomes a white witch after receiving training and leaves Shiro Majo Gakuen to save the world, but a white witch, Rina, appears in front of her. Also, black witches, who are hostile to the white witches and are attempting to create a new world with a spell, appear in front of her. Later, Moga sneaks into Kuro Majo Gakuen ("Black Witch Academy") to save Rina after she was kidnapped. There, Moga sees a girl who once stayed with her at Shiro Majo Gakuen. 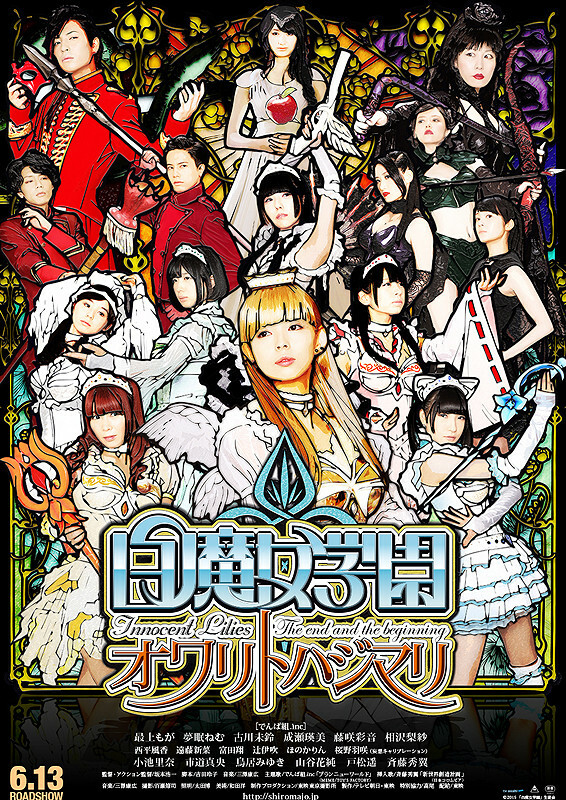 Moga Mogami,	Nemu Yumemi, Mirin Furukawa, Eimi Naruse, Ayane Fujisaki & Risa Aizawa are members of idol group "Dempagumi.inc". Cez Sep 28 2015 1:03 am What is the title of the song sung by akua? And who is the artist? Thanks!